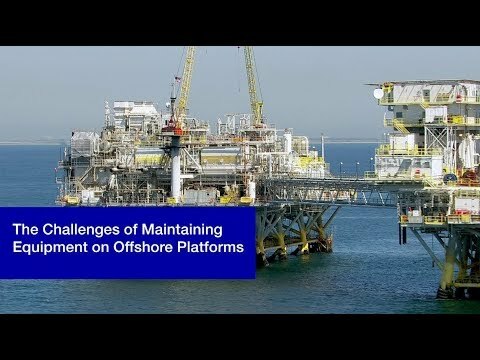 The offshore industry faces two main challenges: maximizing production within the limits of the reservoir, and minimizing operational costs while maintaining the safety of the platform. Pumps form one of the main groups of equipment that influence the outcome of both challenges and they require expert knowledge to ensure continued reliability and performance. Murray Wilson, Sulzer UK argues that in each case, industry engineering expertise and commercial innovation are required to deliver these goals. Furthermore, the capital expenditure to improve reliability is most often far outweighed by the costs incurred by an unexpected failure and the subsequent costs of lost production. By taking a proactive approach and involving an expert maintenance provider, platform operators can deliver significant benefits to the business in the long term. A proactive maintenance regime is crucial to identifying potential issues before they develop into problems. However, this requires knowledgeable and experienced personnel to carry out the in-situ platform maintenance and these skills take time to perfect. The time required for this process can be greatly reduced by instigating a training program prepared by experts in equipment maintenance, who can pass on their collective knowledge in a structured and efficient manner. Precision engineering is required to prolong reliability and effectiveness. Most commonly seen on the pump impeller, cavitation is caused by a pressure difference, either on the pump body or the impeller. A sudden pressure drop in the fluid causes the liquid to flash to vapor when the local pressure falls below the saturation pressure for the fluid being pumped. Any vapor bubbles formed by the pressure drop are swept along the impeller vanes by the flow of the fluid. When the bubbles enter a region where the local pressure is greater than saturation pressure, the vapor bubbles abruptly collapse, creating a shockwave that, over time, can cause significant damage to the impeller vanes or pump housing. For situations where cavitation is unavoidable, or the pumping system suffers from internal recirculation or excessive turbulence, it may be necessary to review the pump design or minimize the potential for damage using a bespoke coating system. Produced Water Re-injection pumps that are employed to force water back into the oil field and thus maintain the reservoir pressure needed to lift the oil to the surface are often subjected to high levels abrasion. This is commonly the result of sand carryover from upstream filtration where there has been a process upset or where filtration systems are not adequate. Pumps that are used to transfer these fluids can experience significant levels of erosion, especially in areas with high flow velocities. The entrained sand particles act as an abrasive and higher working pressures only serve to compound the issue. Pump manufacturers will aim to minimize flow velocities throughout the pump or design it in such a way that the flow velocities through close-running clearances are as low as practically possible within the duty for which the product has been designed. Under these circumstances, one of the most effective solutions is the use of specialist protective coatings, which can be used to protect selected areas in the pump.